Lockheed Martin and Dominion Resources, Inc. have co-developed a new “smart grid” technology called VirtuGrid, which will enable remote detection of power outages for faster mapping and response. This collaboration between the two companies brings together Lockheed Martin’s technology and Dominion’s experience in distribution engineering. 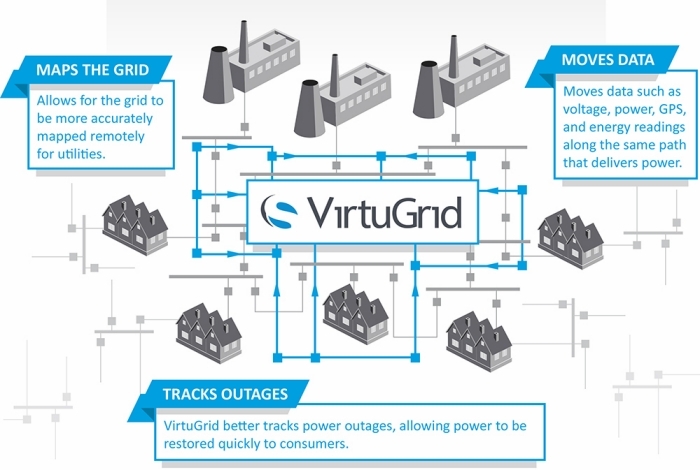 According to the companies, VirtuGrid enables data — including voltage, power, energy readings, GPS location, phase, and circuit connectivity — to be sent from remote locations to substations over the same path as the power, facilitating control and timing of remote communications with very low bandwidth usage. Lockheed Martin and Dominion introduced VirtuGrid last week at DistribuTECH, a utility industry event that 10,000 attendees and more than 480 exhibitors. Dominion’s technology partners include Greenlet Technologies of Israel and Power Tagging Technologies of Boulder, Colorado, which developed VirtuGrid’s underlying Location Aware technology. Lockheed Martin provides energy management, smart grid, engineering and cybersecurity solutions to utility and commercial customers, including eight of the top ten largest utilities in the United States. "VirtuGrid will help utilities map the connectivity of the electrical distribution grid," says Roger Flanagan, director of energy services for Lockheed Martin’s Information Systems and Global Solutions business. Dominion Resosurces is one of the nation’s largest producers and transporters of energy, with a portfolio of approximately 24,600 megawatts of generation, 12,400 miles of natural gas transmission, gathering and storage pipeline, and 6,455 miles of electric transmission lines. "VirtuGrid will benefit both utilities and energy consumers by providing much more precise information about where and how energy is being used across the grid," says Mary Doswell, Dominion’s senior vice president of Alternative Energy Solutions. consumers, automatically communicate with a utility’s central management system to help utilities control power consumption of individual pieces of equipment. Power Tagging’s Grid Location Aware technology is a grid resident solution for granular command and control of electrical distribution.